Considering scent branding is relevantly new (more of the branding world is learning how this science works), I have decided the best way to educate my readers, is to discuss relevant case studies that a reader could experience and reference for themselves. Recently referenced in a Business Week article were the efforts of Ambercrombie and Fitch (AF) Scent Marketing. The stores have been scented for approximately two years. The fragrance is their “Fierce” cologne. The fragrance level in the stores is high and the concept to the fragrance strength or “loudness” is bold and in “your face”. So, does this form of scent marketing work? First, before I answer, I would like to clarify a few points. The PR firm involved with the article did not complete some fact checking, such as, the perfumers mentioned Bruno Jovanovic and Pascal Gaurin did not create the fragrance for the store. The article misleads the reader to believe the Ambercrombie and Fitch aromatic brand (Fierce) was created for the sensory experience of scenting the store space. The article failed to discuss that the original branding strategy to Ambercrombie and Fitch did not begin with scent. 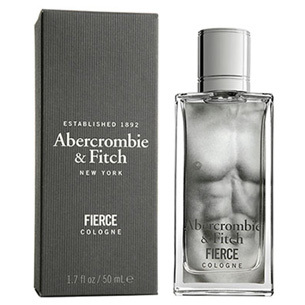 Using Fierce was a great idea, a product they do sell but the fragrance was designed as a ”cologne”, for the body, it was not designed for the store. There was no intention to layer the principles of the visual, emotion elements of the brand into the backdrop of the scented space. So does this form of scent marketing work? Yes it does, shock advertising can be an effective tool. For this particular brand, the question is, at what cost? To quote Oprah “for every action there is a reaction.” Does the strength of the scent found in the Ambercrombie and Fitch stores increase sales and further support the brand? OR Does the action of a loud scent create the reaction from the consumer that supports the brand? Normal business practice indicates that when a client uses scent in a store it is important to monitor comments and suggestions from their clients. From their clients response it would seem the strength of their campaign is actually adding to the negative impact on the brand. I cannot help to read some of their client’s responses. As well if you track the blogs as I do, Ambercrombie and Fitch seem to be an example of how awful scent marketing can be, such as this post I discovered – “ I find scent branding wasteful and not conducive to the environment or the experiment as a whole. To use fragrance as a way to influence how people should “live” is almost to dictate the whole culture of the Bronx itself. I guess I feel so strongly about this topic is because I’m always so unhappily reminded of the scent branding that Ambercrombie and Fitch uses in all the stores. It’s almost as if you have to smell a certain way to shop at their stores. In addition, to think how many bottles of perfume are wasted to get the “Abercrombie” smell, well, I’m just flabbergasted. I wonder whether if there’s a better way to utilize scent branding without seemingly deceiving the public? “. Now there is a missing link, the article does not mention what the overall sales of Fierce cologne are, this may present a different response. However Ambercrombie and Fitch have closed stores, and the brand does seem to be suffering and It seems the over powering strength of the aroma in the stores is adding to a negative association to the feel of the brand. The fragrance level in a space is another key element to the success of a scent branding campaign. Creating a “silage” or scent trail is fundamental in the success of the overall brand strategy. I would recommend create an aroma that represents the core values of the brand and use it as a soft backdrop that adds a dimension to a space. Great article Tracy. You have explained very well how scent branding could have a negative effect if not done the right way.